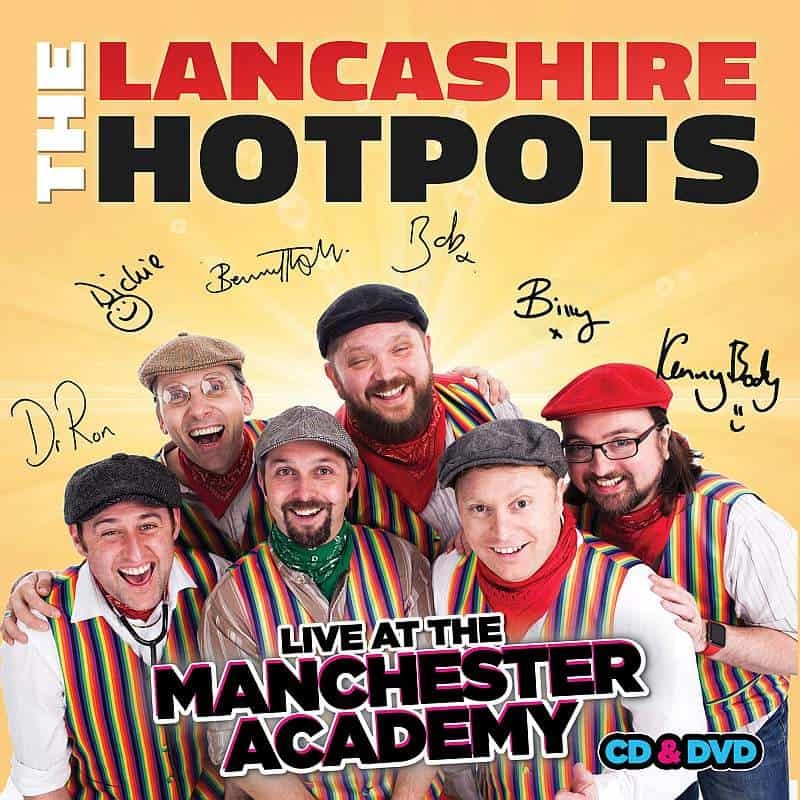 The Lancashire Hotpots present ‘Live At The Manchester Academy’ DVD & CD. Live At The Manchester Academy is a full length concert DVD and bonus live CD capturing all the madcap music and laughs of a Lancashire Hotpots show. Filmed in front of a sell out 900 strong Manchester crowd, you can now enjoy Egg, Sausage, Chips & Beans, The Girl From Bargain Booze, Chippy Tea and all your other Hotpots live favourites in the comfort of your very own home. Each copy is signed by the band. EXTRAS INCLUDE: Audio commentary by the band, Hotpots documentary and exclusive full on Kenny Cam Footage!